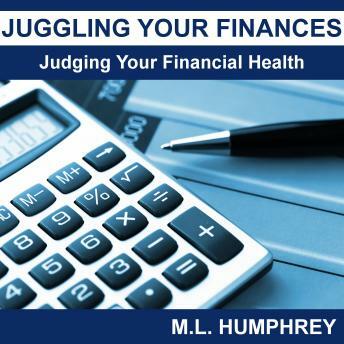 "In Juggling Your Finances: Getting Started, M.L. Humphrey walked readers through how to calculate what they earn, spend, own, and owe. But that was just the first step. The next step is knowing what to do with that information. In Juggling Your Finances: Judging Your Financial Health, M.L. Humphrey discusses nine ways to use what you learned about what you earn, spend, own, and owe to judge your financial health. Are you on the right track financially? Or about to drive off a cliff? Read this guide to find out. Note that this title is also available as part of The Juggling Your Finances Starter Kit, which includes Getting Started and Strategies for Improving."